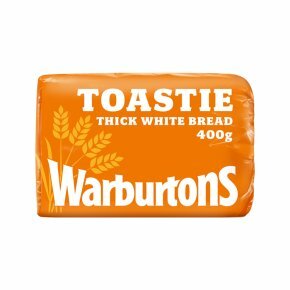 Specially designed for toasting, this tasty white loaf is thickly sliced and comes in a small 400g size. Vegetarian Society approved. Kosher - KLBD. Halal - HFA Approved. "Our family favourite for perfect toast." SAFETY FIRST<br>To avoid danger of suffocation keep this wrapper away from babies and children.